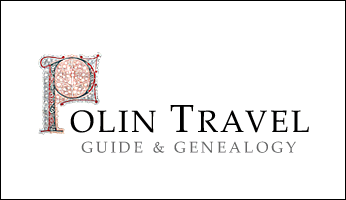 Polin Travel-Guide and genealogy services in Poland, Cracow and Auschwitz. What to do in Krakow/Cracow? Why is Krakow different from other cities? One of the oldest universities in the world - the Jagiellonian University founded in 1364 by king Kazimierz Wielki / Casimir the Great. The Colegium Maius building with its courtyards and garden preserves the medieval character of the university district from the time when Nicolas Copernicus was a student here. The University area is also a site of the first early medieval Jewish community district. The city with its architecture offers all layers and forms of the European architecture styles. The journey through history of architecture can start here with monumental Romanesque structures, through all shades of Gothic giving place to dominating Renaissance which culminates with lavishness of Baroque. 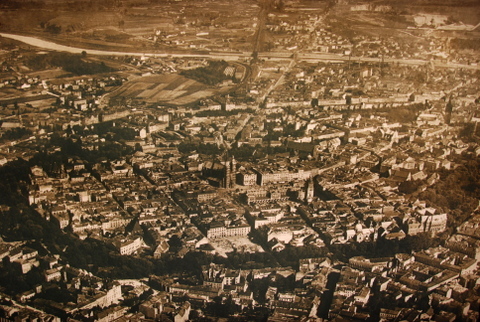 Fast city growth in the 19th century is stressed in various neo-classical realizations including oriental, young style and art nouveau. The torment of the 20th century is represented by modernism , art deco, Nazi and Social realistic architecture. All in one city, often side by side. The district of Kazimierz/Casimir with all seven synagogues preserved narrates the history of eight centuries of Krakow and Polish Jewry. Kazimierz remains the only one Jewish district in Europe with coherent Jewish religious and communal architecture reaching down to 14th century. The old synagogue from the 15th century is one of the oldest and most valuable synagogues of Europe. The 16th century Remuh synagogue and grave of the Mosses Isserles rabbi are making a religious and spiritual milestone in Judaism. Temple Synagogue - This 19th century reformed synagogue attracts with the multitude of colours and ornaments making its Moorish interior. Kazmierz district makes a perfect place to get lost in the multitude of streets and courtyards. Lost to be found in one of the numerous local cafes, galleries, libraries or antique stores. The Krakow Ghetto District and Schindler's Factory remind us of the World War II city history. The Ghetto District was not torn down by the Nazis so most of the buildings are original silent witnesses to the Holocaust of Krakow Jews. The building of the former Schindler's Factory was changed into one of the most modern museums in Poland, narrating the World War II history of Krakow. Kazimierz has the most magnificent collection of Jewish heritage sites in Poland and Europe. Sites connected with filming the Schindler's List. During the stroll we will enjoy facades of High, Poper and Izaak synagogues as well as prayer houses, in this way submerging ourselves into the rich history of the district. OPTION I - WIELICZKA SALT MINE TOUR - UNESCO site. You will have a chance to explore one of the biggest Polish tourist attractions, the oldest Salt Mine in Europe, inscribed in UNESCO's 1st World List of Cultural and Natural Heritage (admission - 64 PLN per person, approx. 21 USD). The visiting of the 20 historic chambers, reaching 327 m deep, connected by 2 kilometres of passages lasts approximately 2 hours, 15 minutes. The Mine is visited in groups with guide - of course we will find an English speaking group for you. Temperature in the Mine is around 14 C (57 F) so remember to take a jacket with you, when going down. Also mind that in the beginning you need to walk 378 steps down to start the tour. Fortunately on the way back, you will take an elevator. 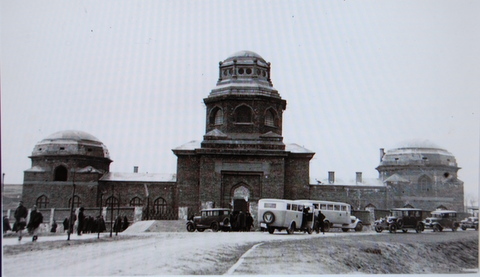 OPTION II - KRAKOW GHETTO TOUR - Plaszow Camp and Schindler's Factory Tour. 04:30 p.m. - 06:00 p.m. - visit to the Museum inside the SCHINDLER'S FACTORY - Krakow under the German Nazi occupation from 1939 to 1945. OPTION III - KRAKOW ART TOUR - City museums and art masterpieces. 03:30 p.m. - 04:30 p.m. - Sukiennice Gallery of XIX century Polish Painting , Holy Mary church and Franciscan church neo-gothic and art nouveau polychromes. 04:30 p.m. - 06:00 p.m. - Czartoryski Museum Collection with Leonardo da Vinci or MARKET SQUARE/RYNEK UNDERGROUND - Following the traces of the European identity of Kraków. 04:30 p.m. - 06:00 p.m. - NOWA HUTA - the first completely social-realistic city in Poland, is an interesting point on the route to understand Polish modern history from 1945 till 1989. Social realist architecture and utopian planning make a good background to understand the time of communism in Poland and Solidarity revolution. You can find more travel itineraries at TOURS, SITES, PAST PROJECTS or HOLOCAUST EDUCATION and JEWISH HERITAGE AND HOLOCAUST TRAVEL MAP OF POLAND.